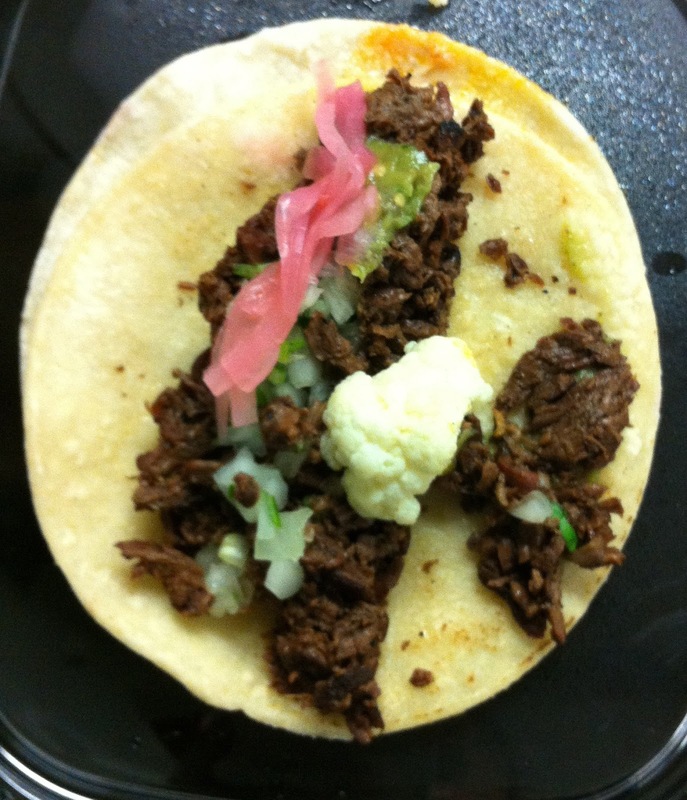 One of my first lessons on food and its cultural importance to a person’s ethnic and cultural identity revolved around the Taco or more accurately, the Americanized Taco. Well 17 years later, I very much appreciate and prefer the traditional Mexican taco, although I still occasionally crave the Taco Time version. 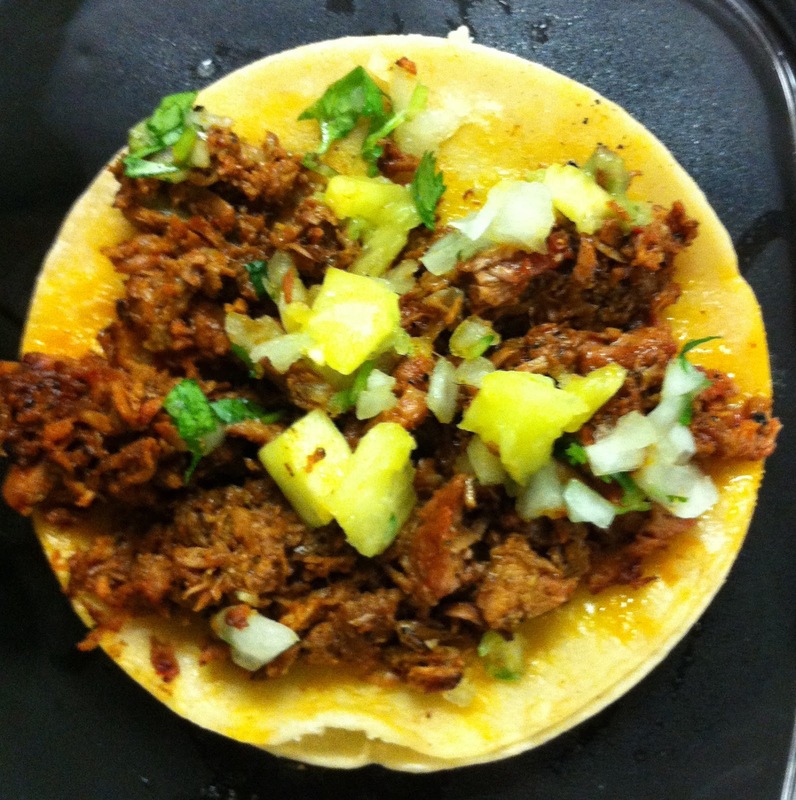 · The Al Pastor filling synonymous as a traditional Taco filling was actually invented by Lebanese immigrants in Mexico in the 1960s and is a rift off the Lebanese shawarma. This simple yet delicious concoction has a complex history. When it comes to the tacos at the La Taqueria, all I’m going to say is they use traditional ingredients, the fillings better reflect what you can get in Mexico even if they are not necessarily exact replicas and above all else they are tasty. 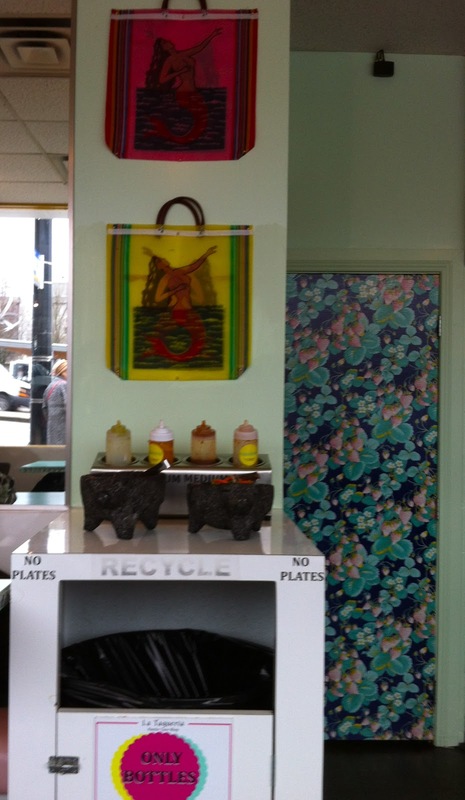 La Taqueria has 2 locations (one on Hastings and one on Cambie) and the menu is the same at both. 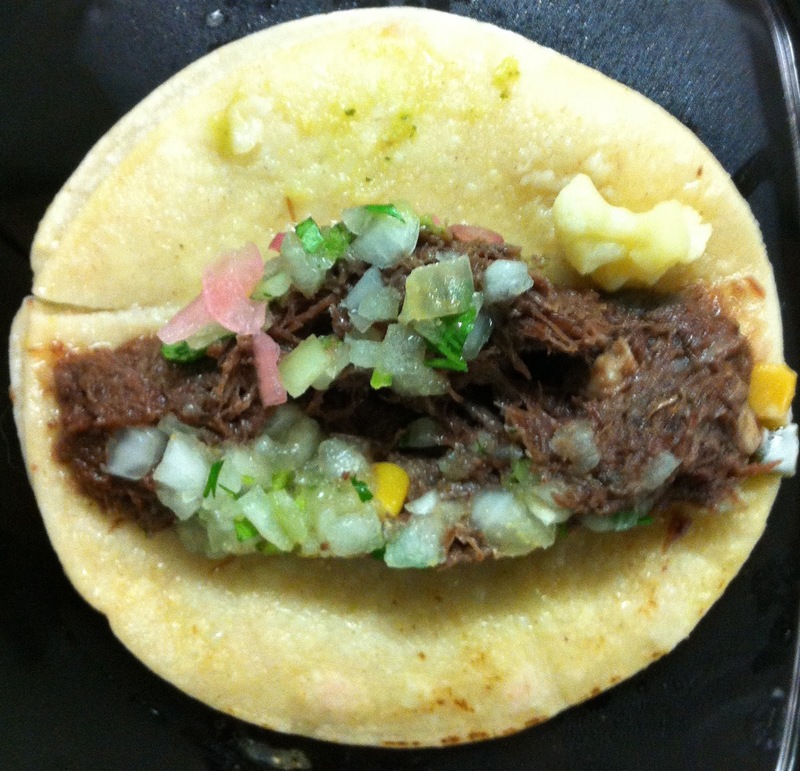 Each place produces consistent tacos. So even though I went to the Cambie location for the below tacos, the Hastings location would serve the identical yummy tacos. The flavours of the fillings are simple which suits me fine since the antitheses of the traditional taco is covered in cheese, tex-mex seasoning and tomato-ey salsa. 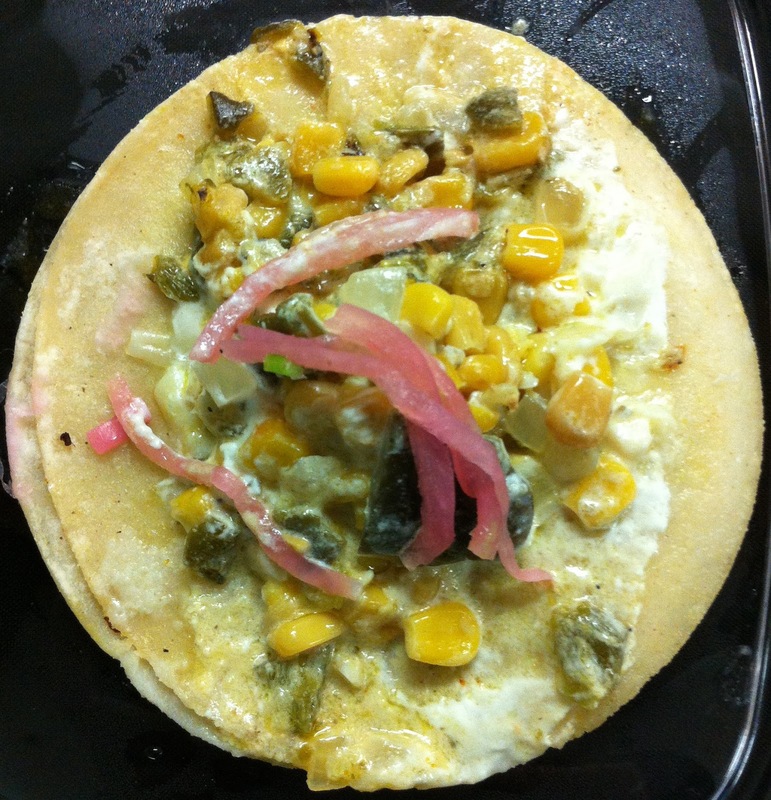 You can amp up the taste with salsas (varying degrees of spiciness offered) and pickled vegetables (onions, carrots, cauliflower & jalapeño peppers) which La Taqueria provides free of charge. The ASADA (grilled ‘AAA’ flank beef): I like I can taste charring of the beef. The AL PASTOR (Pork marinated in achiote chilli and served with pineapple): The pineapple is traditional but they don’t use a rotisserie to cook the pork as they do in Mexico. However it’s still a tasty filling. (Braised beef cheeks): I just like that it is rich and full of beef flavour. The RAJAS CON CREMA (Roasted poblano peppers with creamed corn, sour cream & mexican cheese): The is a vegetarian taco that I feel has a lot of character. The sweetness of the corn and peppers balances out the sour cream. The tacos are about 4 inches in diameter and one can easily eat 4 at one sitting. The only downside is that some of the fillings, in particular the beef & pork based fillings, can be a touch greasy. Currently La Taqueria has a special on Wednesday where you buy 4 tacos you get 2 free. Perfect opportunity to find your favourite fillings. Previous Post Food for Thought: Are we pre-destined to eat what we eat?